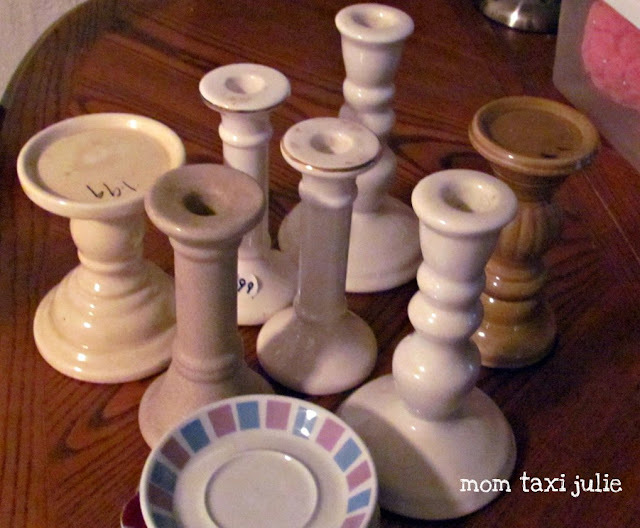 If you want a candle holder and you shop at the thrift shop by my work you MAY be out of luck! I'm sure you can probably guess what I'm going to do with these. If not, stay tuned! I need to make it over to Home Depot so I can get them made up pretty. Only two more weekends until the baby shower! I am getting really excited and crossing my fingers that we are going to have good weather since I've decided to have it outside. Hopefully it won't be anything like the last party I threw in October! I still want to make a few things other than the table centerpieces. and some table toppers made out of vintage sheets. My mom has some nice table cloths but they are all different colors. I want to make some toppers out of some pastel floral prints. What are some fun games you have played at baby showers? I for sure want to do the one where you take the labels off the baby food jars and people have to guess what is in them. The baby shower game I HATE? The "don't cross your legs" game. We won't be playing that one! I can't wait to see your pictures of how you used the candle sticks etc. If I were having a baby, I would want you to throw me a baby shower! Can't wait to see it complete! ExCiTinG!!!! This one is kind of gross, but it always makes people laugh. They have to open baby diapers and guess what is inside them. You can smash chocolate kisses up, peas, you know whatever looks disgusting and then you see how many people get the answer right. 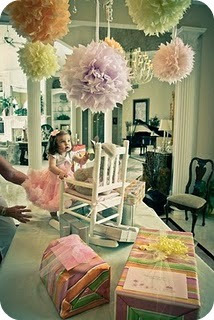 Oh my gosh, looks like you are going to throw one heck of a baby shower! What a fun party, cant wait to see what you use them for!